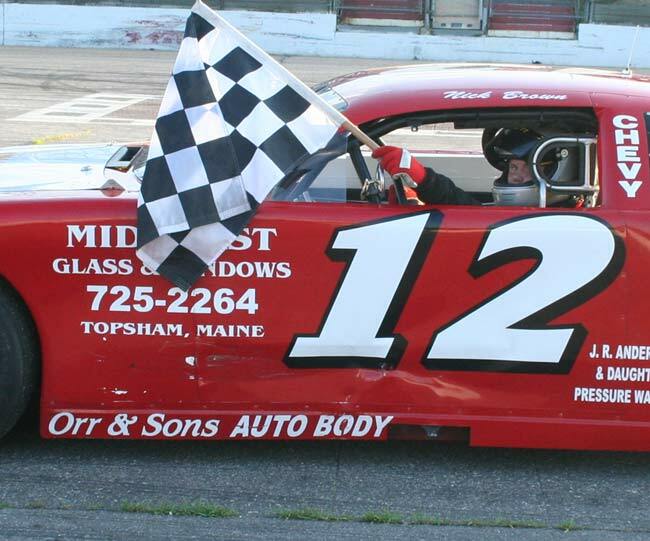 OXFORD, Maine - Ricky Rolfe's four-race winning streak in the Oxford Networks Late Model division ended Saturday night. Sort of. 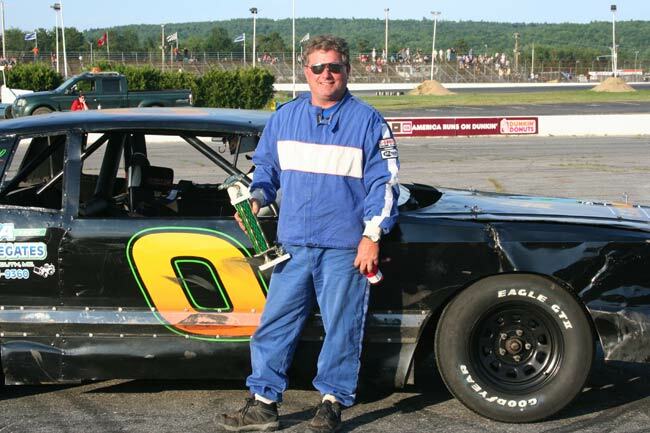 Kurt Hewins became the first driver other than Rolfe to win a race in Oxford Plains Speedway's top division since May, capturing the 40-lap main event on Time Warner Cable Night. 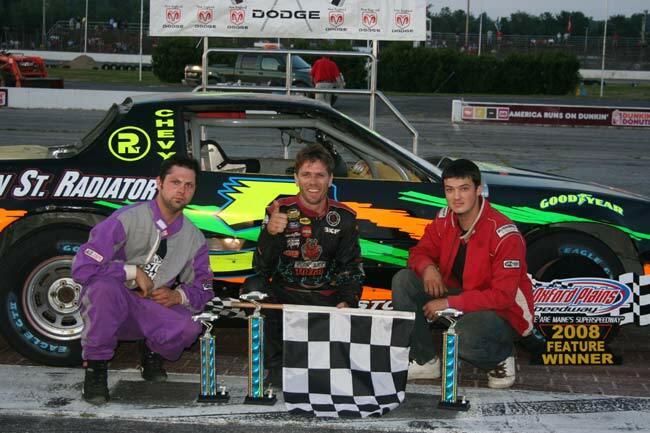 Rolfe was second, chasing one of his own Race Basics-built cars to the finish line. 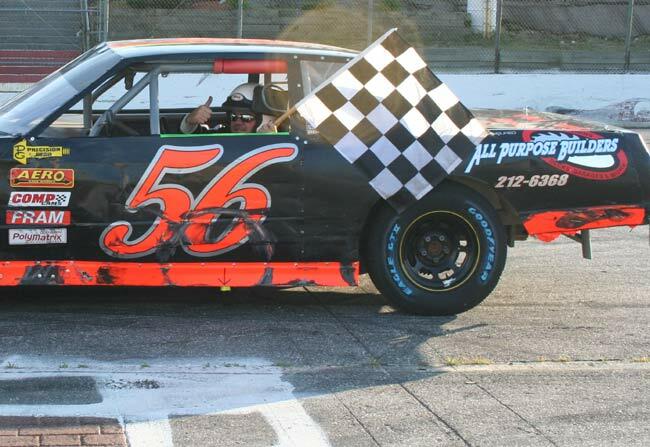 "I'm glad to be the one to end Ricky's winning streak," said Hewins, "because I wanted everyone to see that it's the car. They're all pretty much the same." 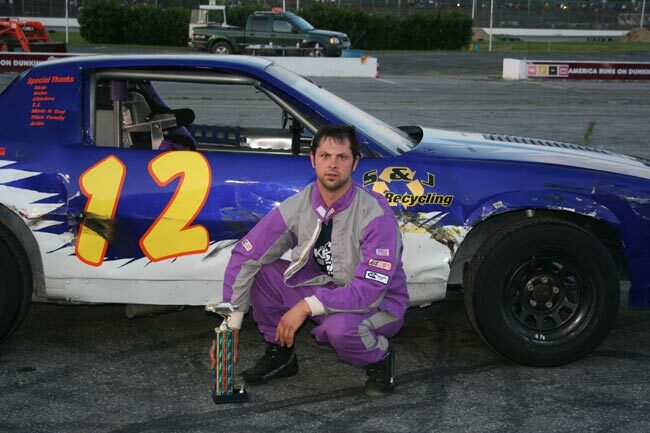 Hewins chased down teammate Dennis Spencer Jr. prior to a lap 24 caution, then made his winning move three circuits later. 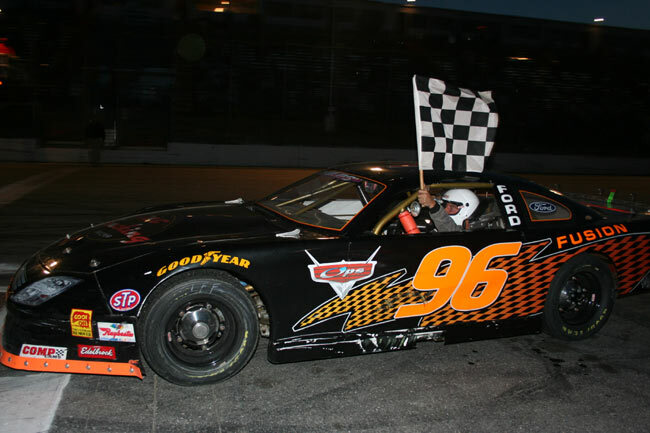 When Rolfe and Spencer scrambled side-by-side for the runner-up spot over the final five laps, it gave Hewins the freedom he needed to protect his lead. 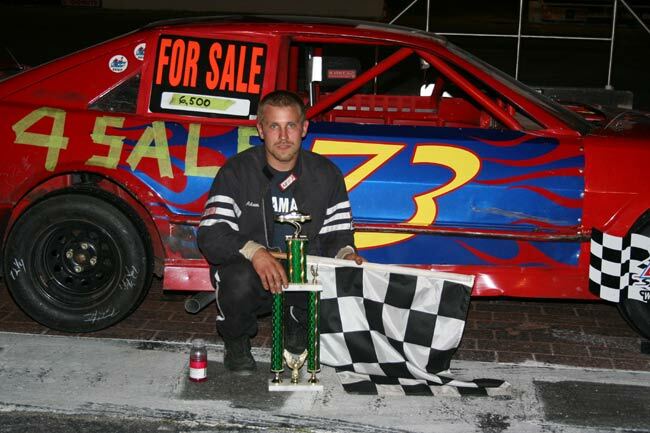 The former Limited Sportsman champion triumphantly slid his rear tires sideways across the stripe to celebrate his first victory in the headline division since July 3, 2005. "I guess Kurt must be cheating tonight, because he beat me," Rolfe joked, referring to a few fans' grumbles about his winning streak. "Of course I'm only kidding. 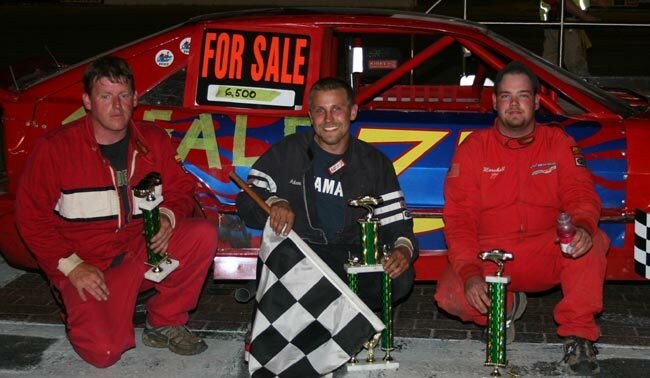 Kurt is a hell of a racer, and Dennis is a hell of a racer. I'm always happy to finish in the top three here, whether it's first, second or third." Spencer matched his best effort of the season in the final podium spot, followed by Matt Sanborn and Carey Martin. 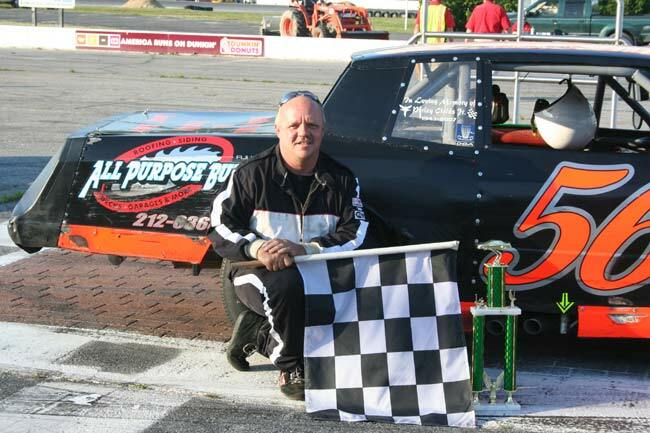 Six other drivers celebrated a feature victory as OPS wrapped up a hectic holiday weekend of three race programs in four nights and a combined 680 laps of green-flag racing in that stretch. 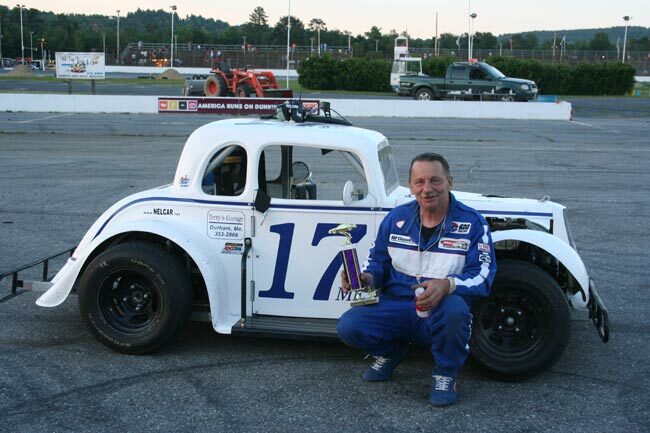 While Rolfe's run ended, Adam Polvinen christened a new streak with his second straight Allen's Coffee Flavored Brandy Mini Stock triumph. Polvinen inherited the lead when early dominator Justin Karkos lost power and pulled to the infield at the end of lap 16. "I worked three times harder last year to win races and couldn't ever do it," Polvinen said after becoming a multiple winner in only his third start of the season. "I went back to the 2006 set-up and left it alone." Ashley Marshall unofficially took over the division point lead with his second trophy of the weekend, this time matching a career-best second. 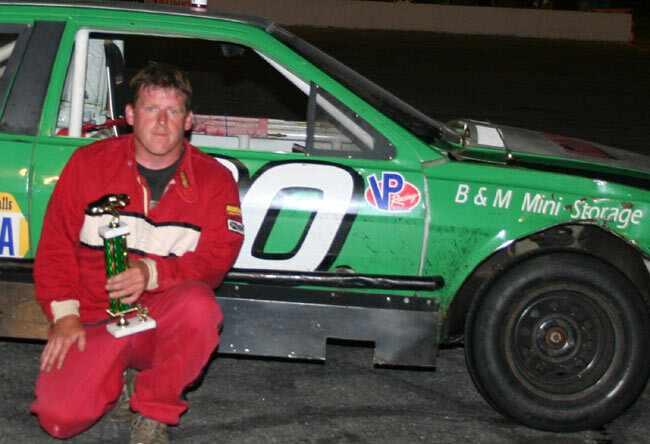 Previous leader Darrell Moore was embroiled in a multi-car heat race crash that also involved Marshall. 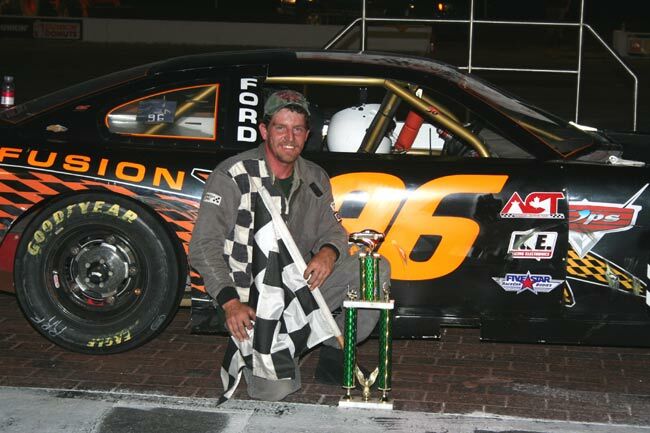 Moore took the green flag in the feature before retiring behind the wall, last in the 23-car field. 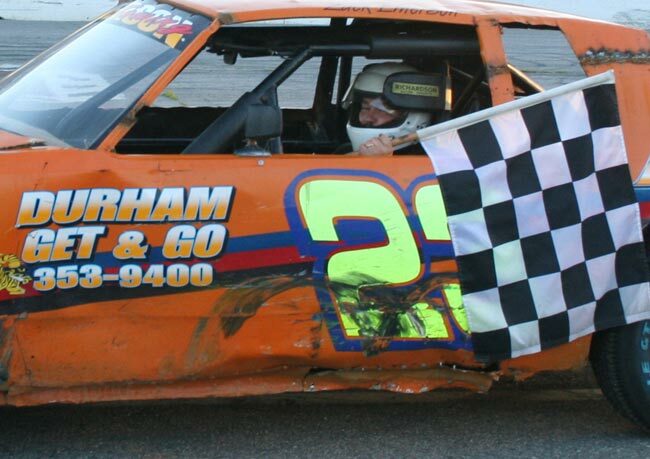 "I'm sorry about what happened to the 12 car (Moore), but that's racing, baby," Marshall said. 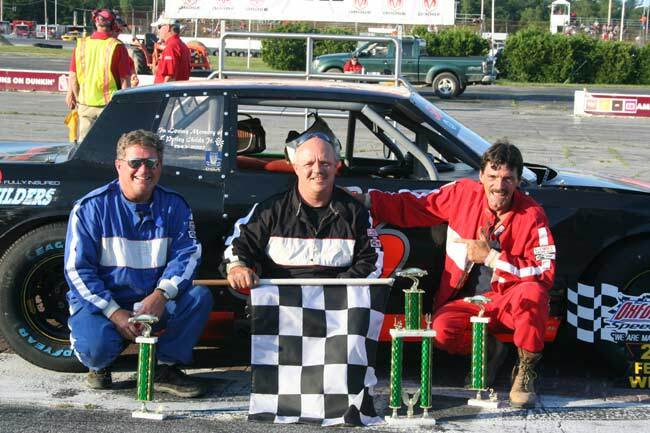 Don Mooney and Bill Childs Sr. dueled brilliantly for a dozen laps before Childs' car also fell off the pace, giving Mooney an uncontested ride to third. 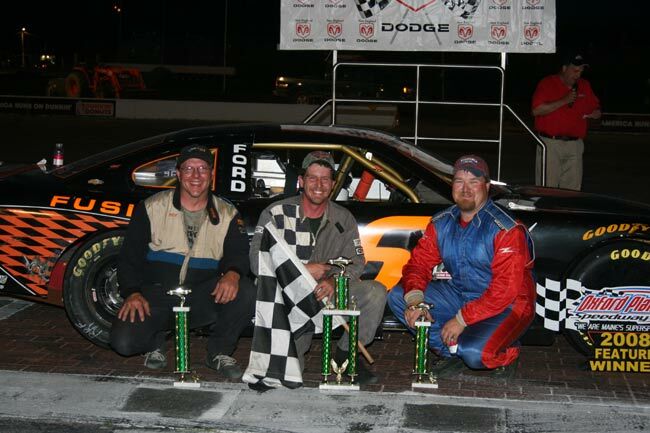 Kevin Bishop and Shane Kaherl completed the top five. 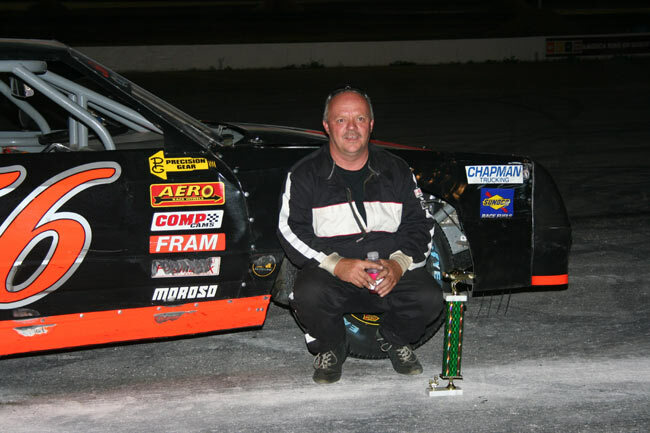 Mike Short became the fifth different driver to win a second Allen's Strictly Stock feature this season in a 30-lap makeup race at the start of the program. 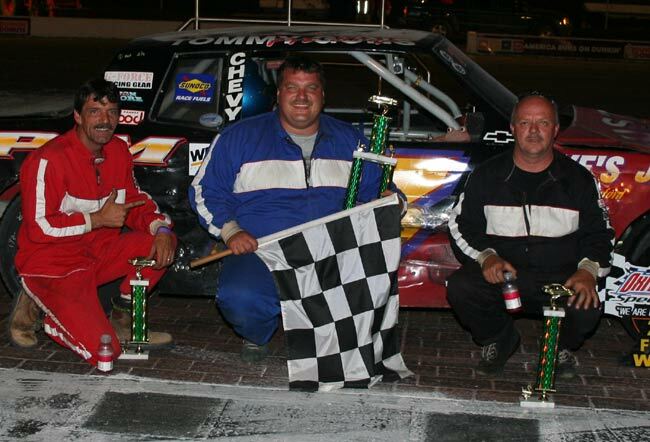 Tommy Tompkins beat Short and everyone else to three wins, however, holding off Short by a car length in the nightcap. 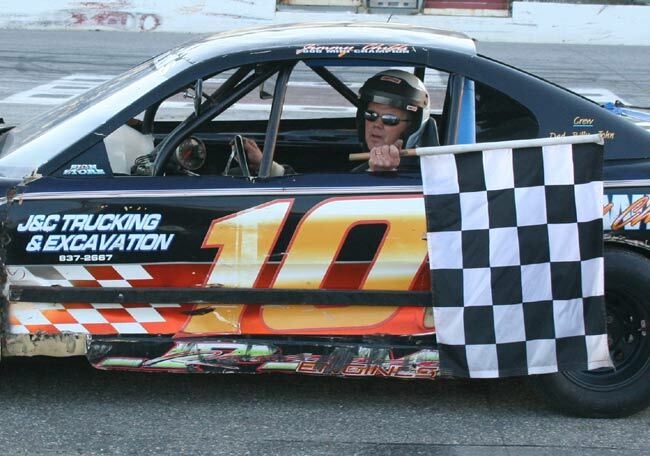 "They told me if I protected the bottom that Shorty probably couldn't get around me," Tompkins said of a seven-lap dash to the checkers in the finale. 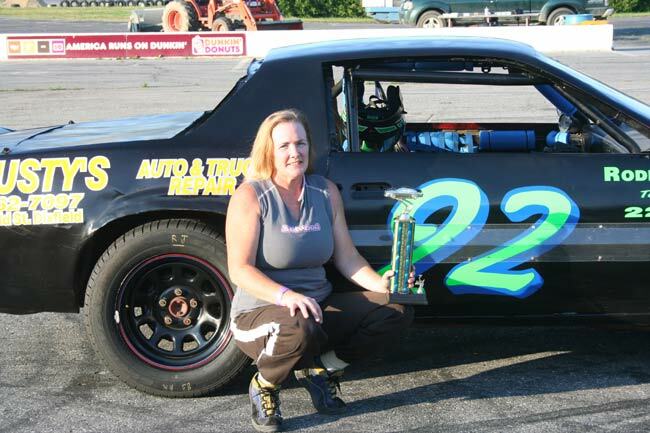 Kim Tripp also took home a pair of trophies, second in the first race and third in the encore. 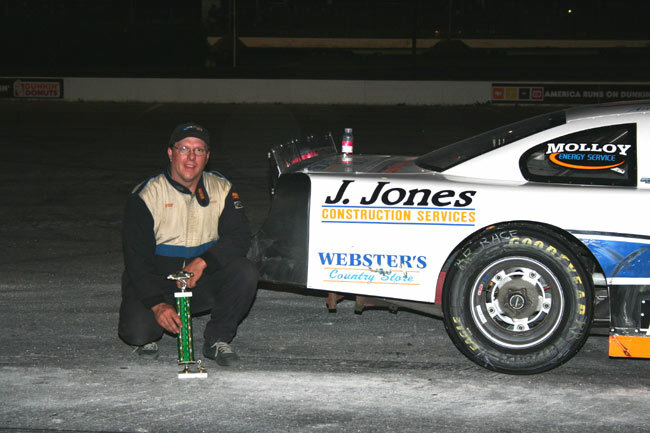 Sumner Sessions matched his best performance of the season with third in the opener, trailed by Glen Henderson and Larry Emerson. Zach Emerson held off his father by about three feet to notch fourth in the second go-round. 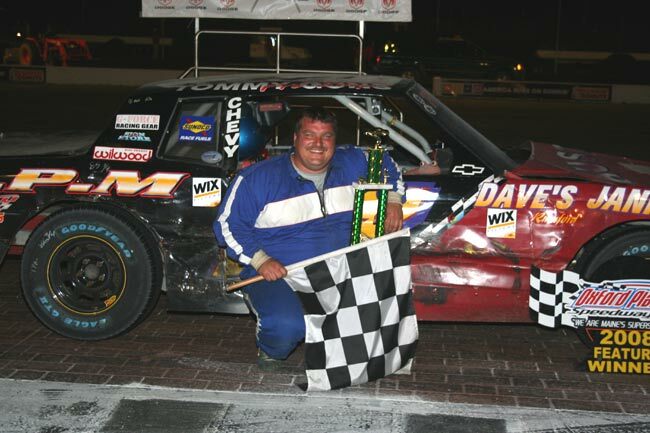 David Childs now leads all Chimney Tech Outlaw drivers with four victories after his second checkered flag of the holiday weekend. 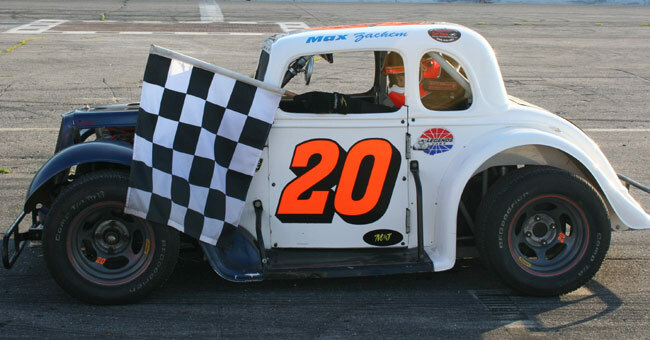 Childs out-dueled Rick Spaulding on a green-white-checker sprint at the conclusion. 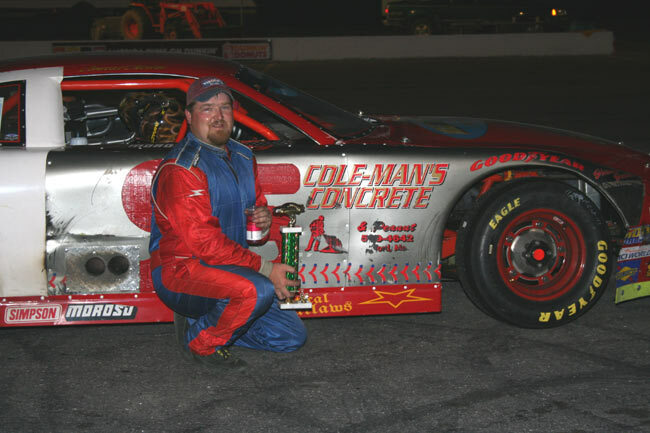 "It's a great car if I can get it here," Childs said from his familiar perch in victory lane. 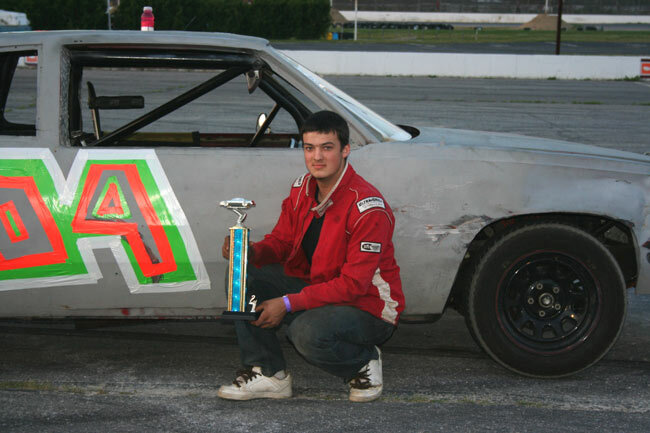 Spaulding gamely tried to hang with Childs on the restart, and it cost him a visit to the winner's circle. 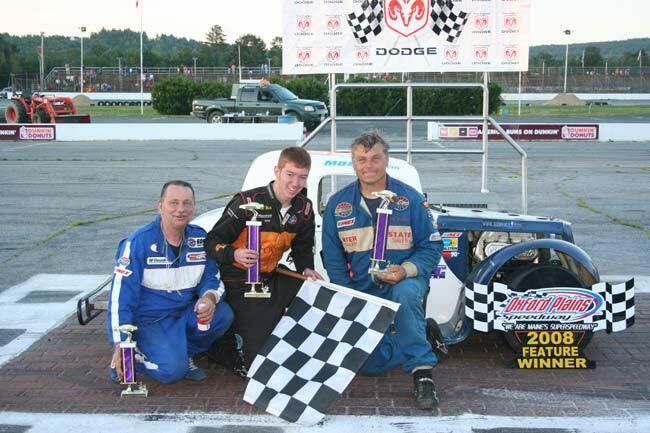 Agren Appliance Saturday Showdown point leader Zach Bowie snuck underneath for second, and Nik Coates accelerated to third by a fender. 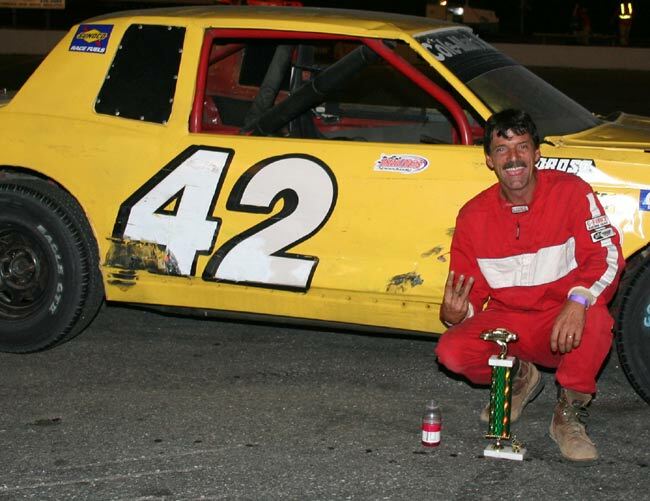 Steve Moon followed Spaulding in fifth. It pales by comparison to her wedding plans for next Saturday, but Deanna Bisbee was all smiles after a one-sided Allen's Coffee Flavored Brandy Ladies victory. 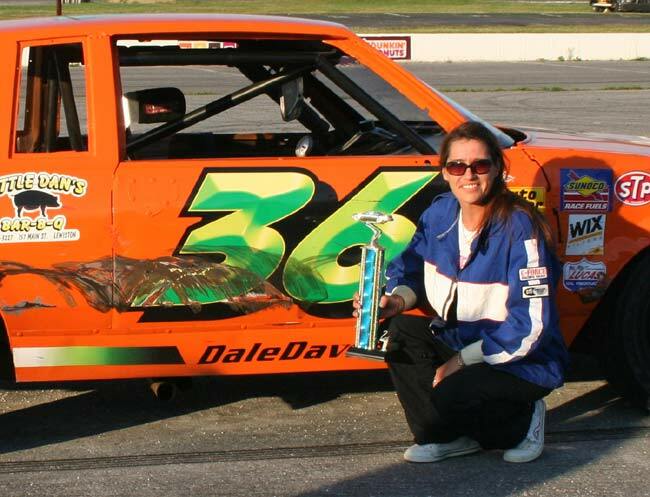 Bisbee broke through with her first win of the year. 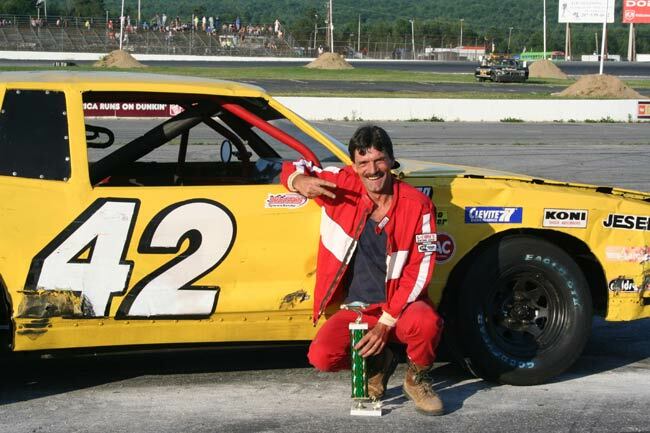 "I've got to thank Randy (Robitaille) for letting me drive the car tonight while we're getting the old Mustang back together," Bisbee said. 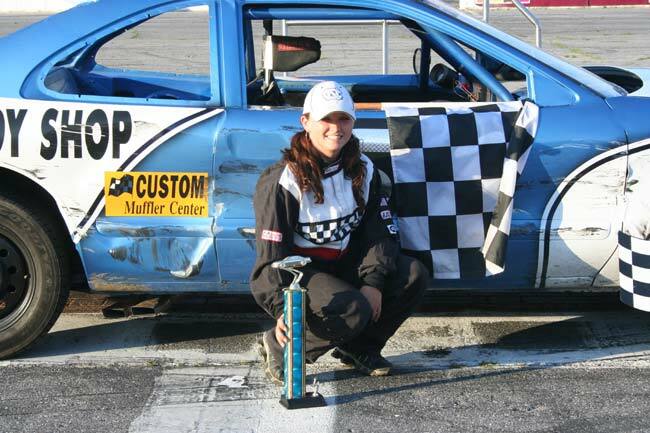 Christina Spaulding finished a strong second for the third time in her last four Saturday starts. 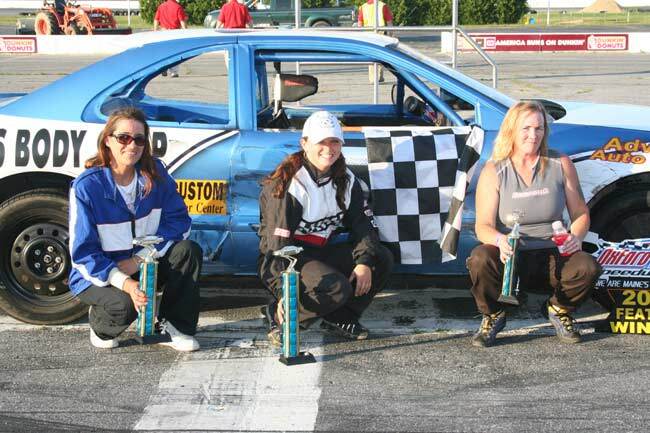 Debbie Marston was third ahead of point leader Dottie Patria and defending champion Vanna Brackett. 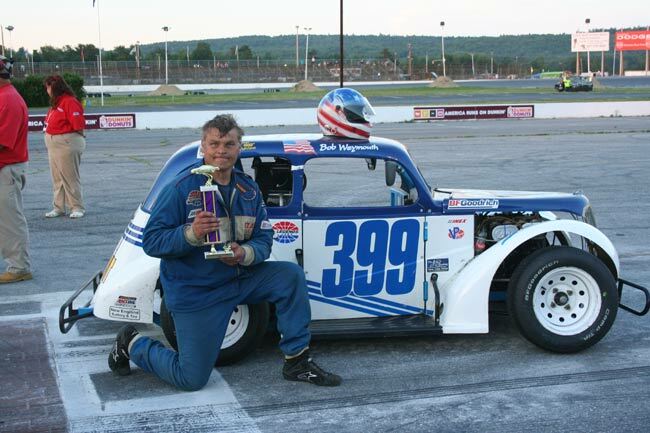 Polvinen threatened to sweep his two features on the night, briefly leading the NELCAR Legends dash before Max Zachem charged to the front and held off previous 2008 OPS winners Bob Weymouth and Terry Kirk for the triumph. "This was well worth coming all the way up from Connecticut," Zachem said. Ed Getty and Polvinen completed the top five. 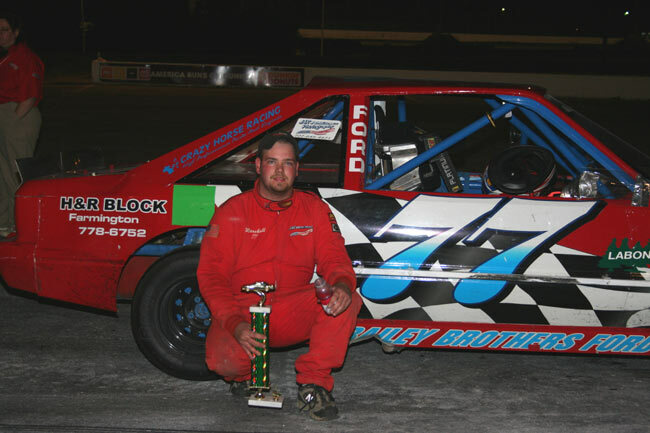 OPS action continues with the Acceleration Series this Wednesday at 6:30 p.m. Saturday, July 12 will feature Q97.9 Night, complete with seven feature races. Starting time that evening also will be 6:30 p.m. 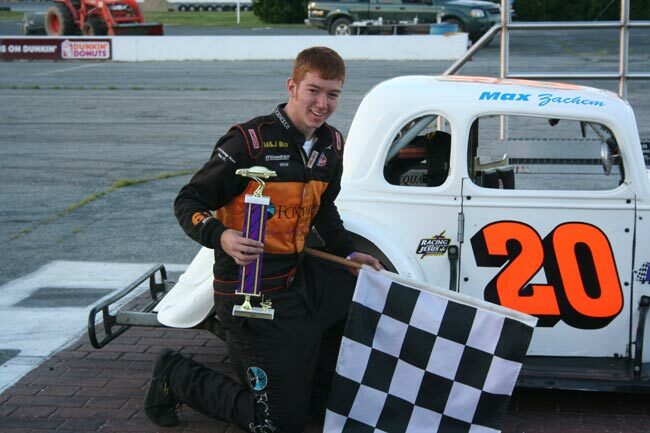 Lap leaders: Spencer 1-26, Hewins 27-40. Lap leaders: Sessions 1-3, Short 4-30. Lap leaders: Z. Emerson 1-11, Sessions 12-30. 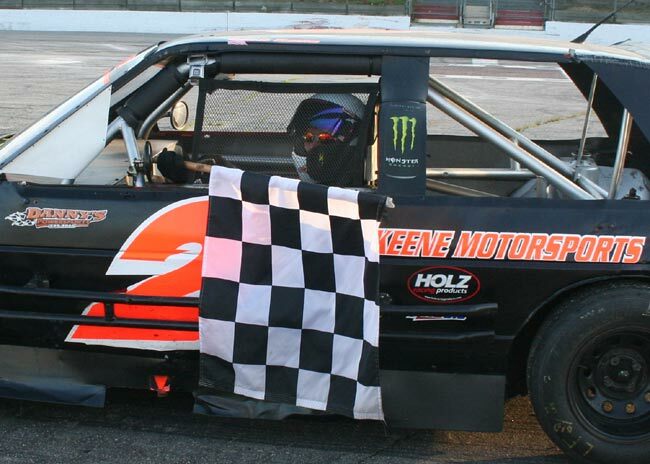 Lap leaders: Keene 1, Karkos 2-16, Polvinen 17-30. 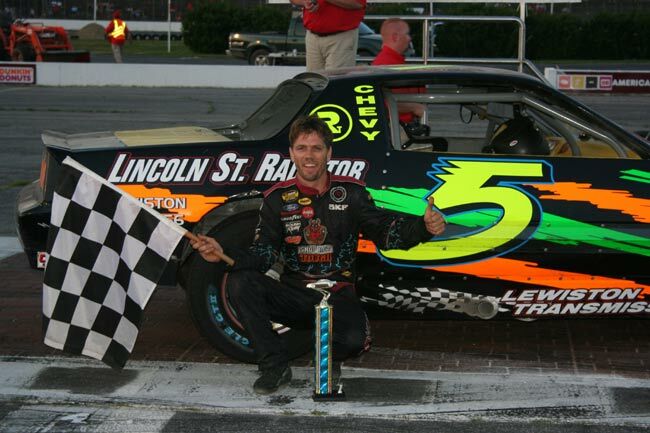 Lap leaders: Spencer 1-6, Spaulding 7, D. Childs 8-20. Lap leaders: Smith 1, Polvinen 2, Zachem 3-20.